SKINLESS exploded onto the metal scene in 1992. Despite a variety of lineup changes, the songwriting team of Noah Carpenter (guitars) and Sherwood Webber (vocals) has remained constant since 1994. After adding the talents of Bob Beaulac (drums) and Joe Keyser (bass) SKINLESS established a solid, dedicated line-up, recorded two demos and appeared on numerous compilations. 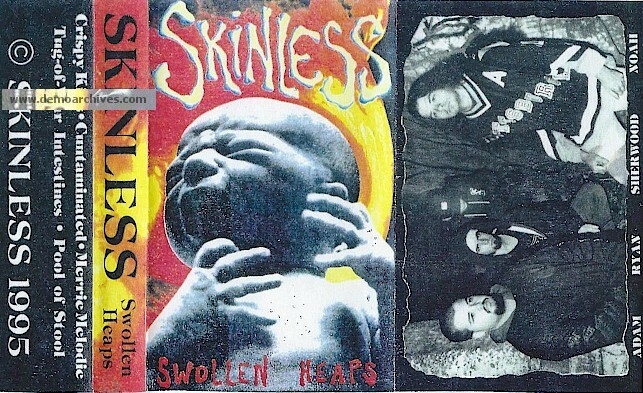 In 1998, SKINLESS released their full-length debut 'Progression Towards Evil.' Recorded at Max Trax Studios in Albany, NY 'Progression...' stunned the underground, showcasing the musicianship and energy that the band had become known for via its intense live performances. An entirely independent release, 'Progression...' received frenzied acclaim from press the world over and saw remarkable sales.